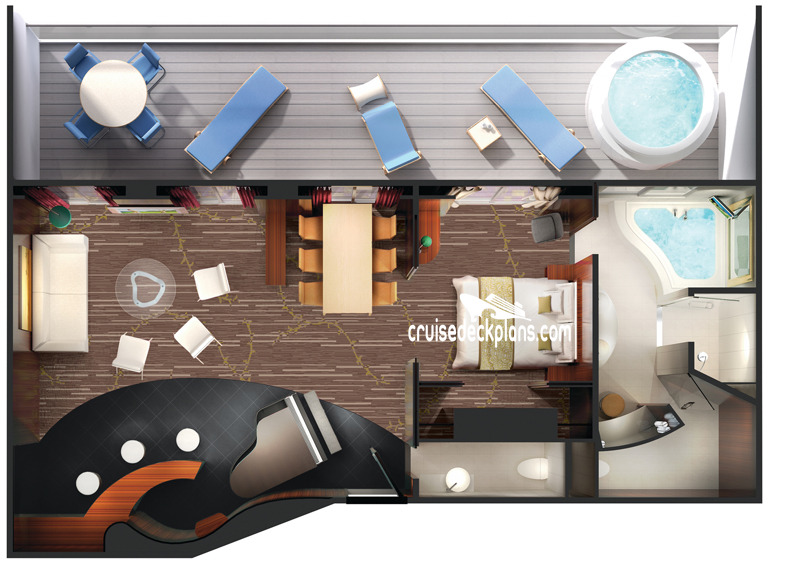 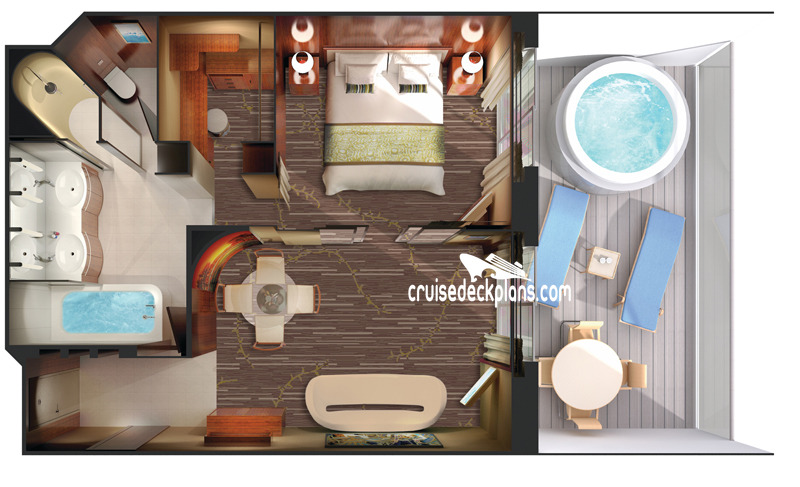 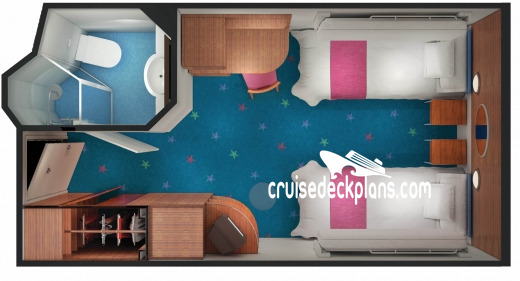 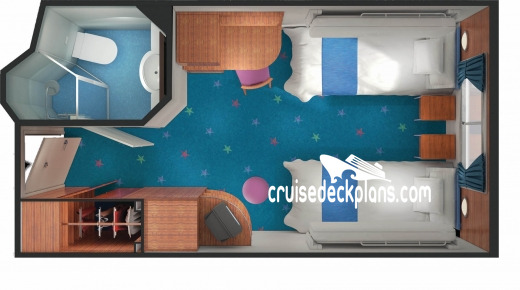 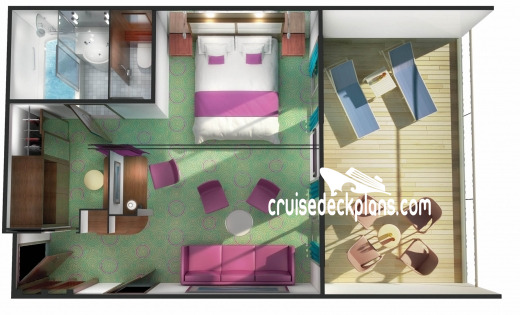 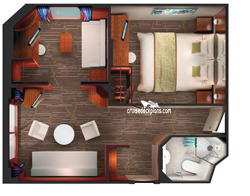 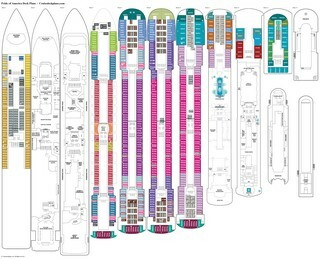 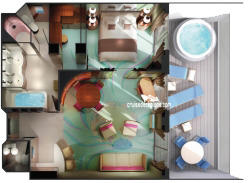 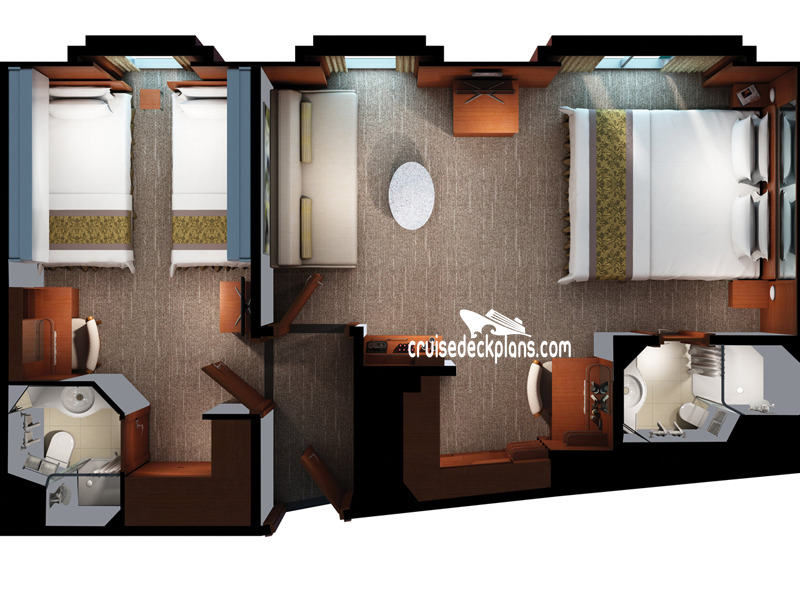 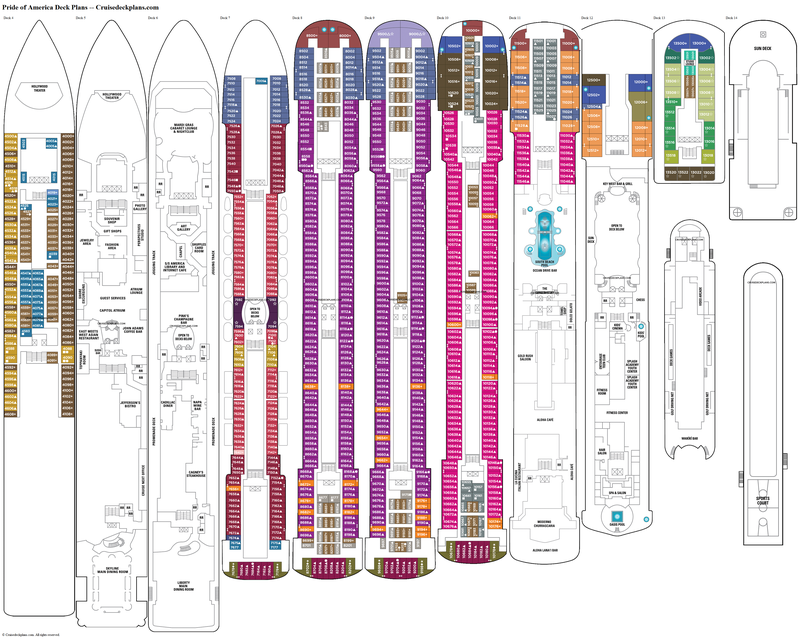 - Diagram is representative of staterooms on deck 9. 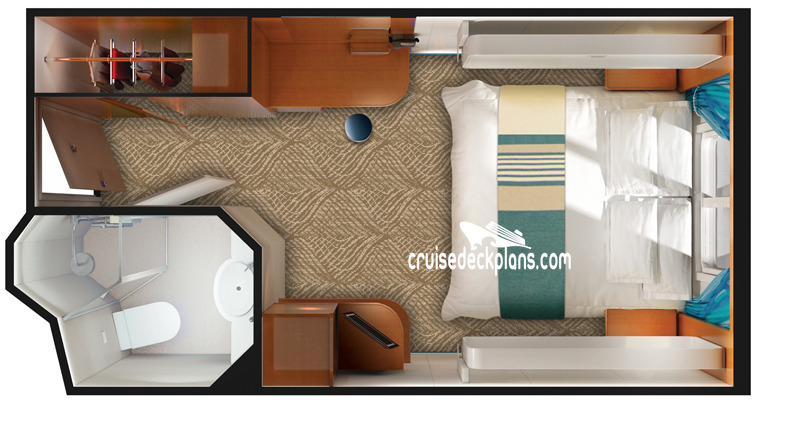 Cabin size ranges from 528 to 690 square feet with 185 to 280 square foot balconies. 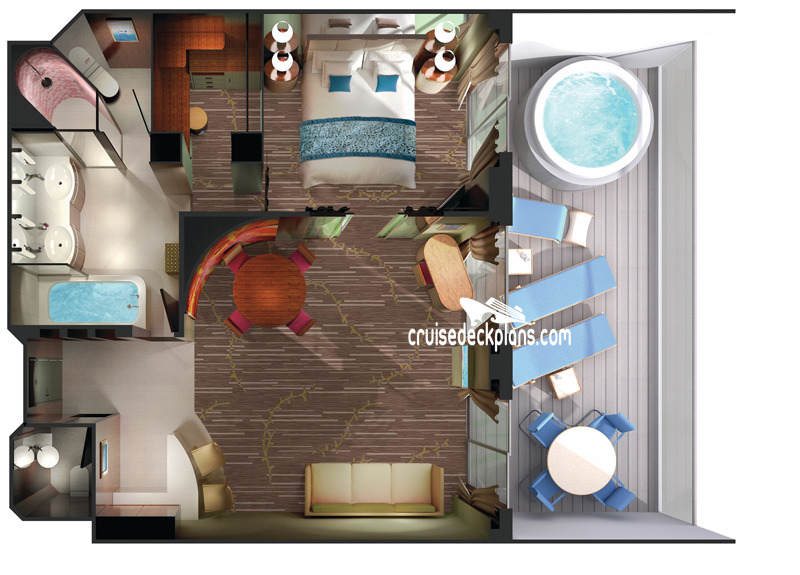 There is no hot tub on Deck 13 balconies for this category. 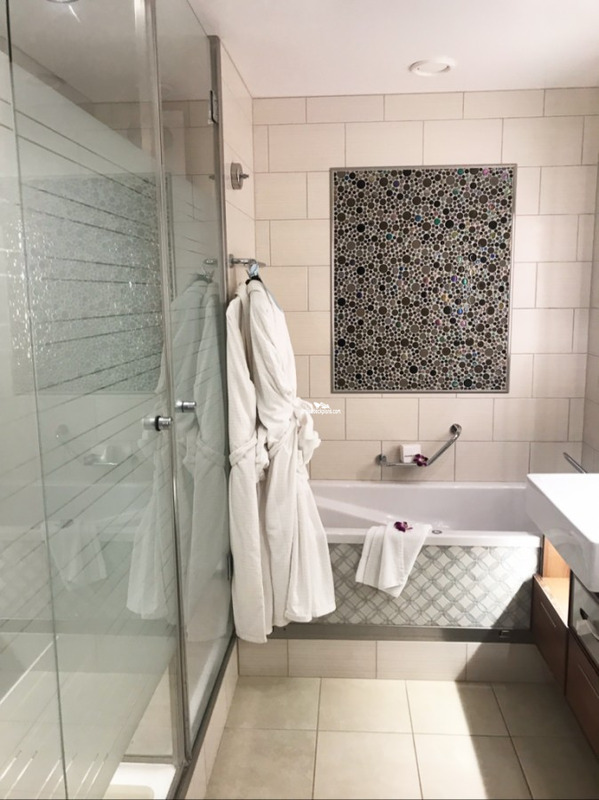 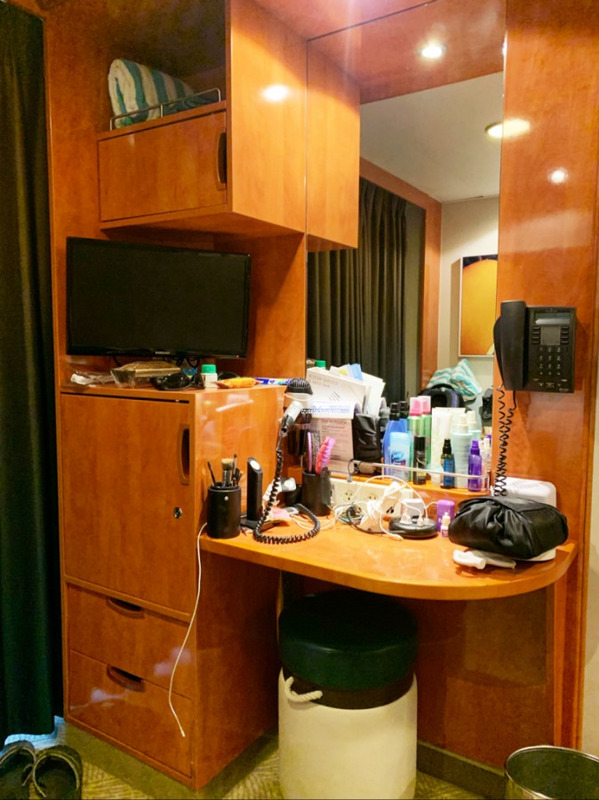 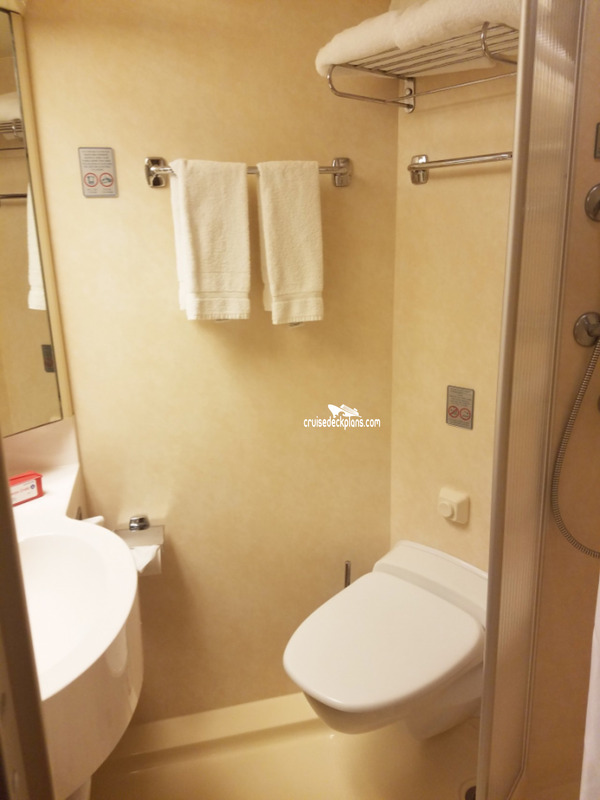 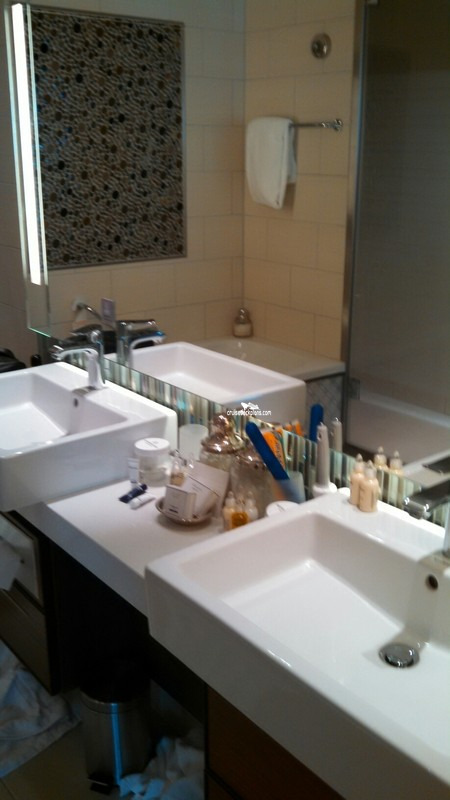 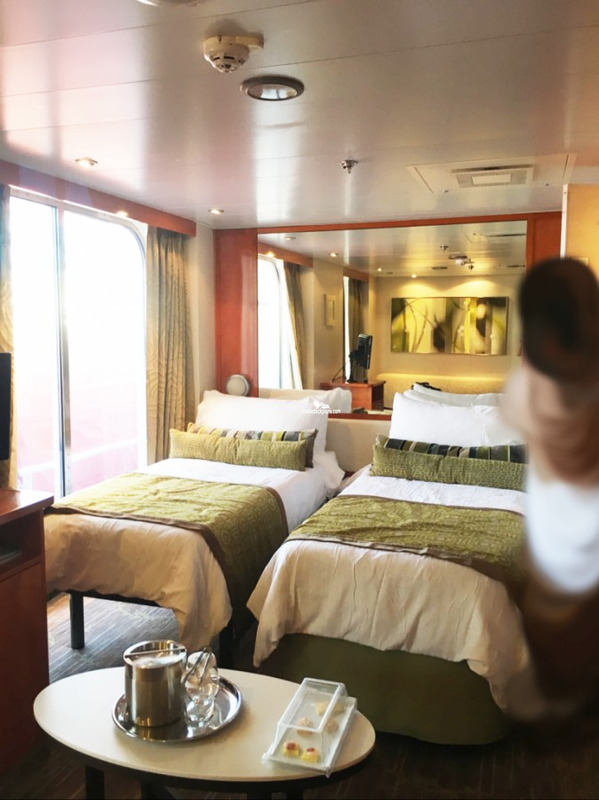 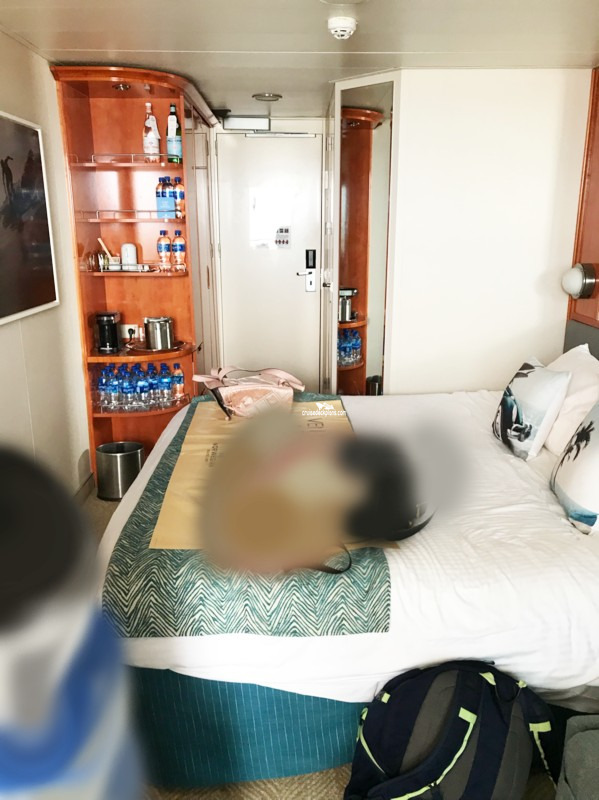 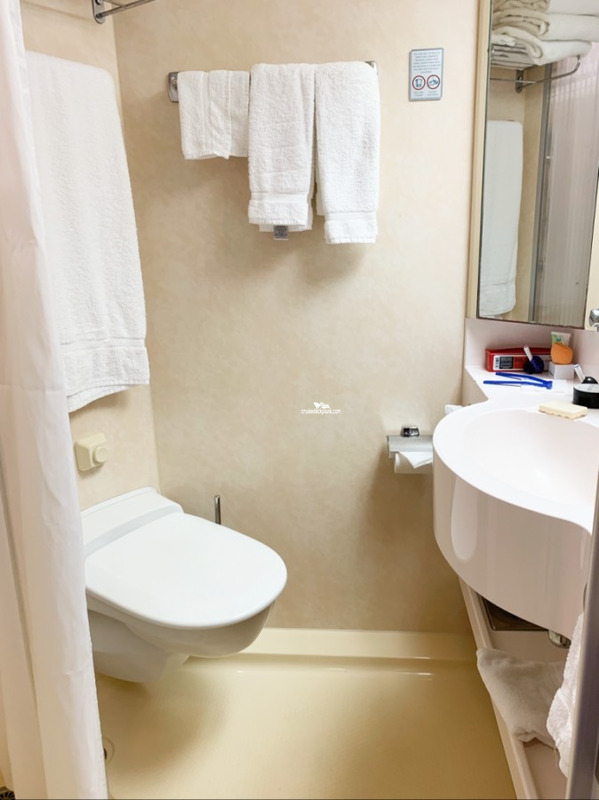 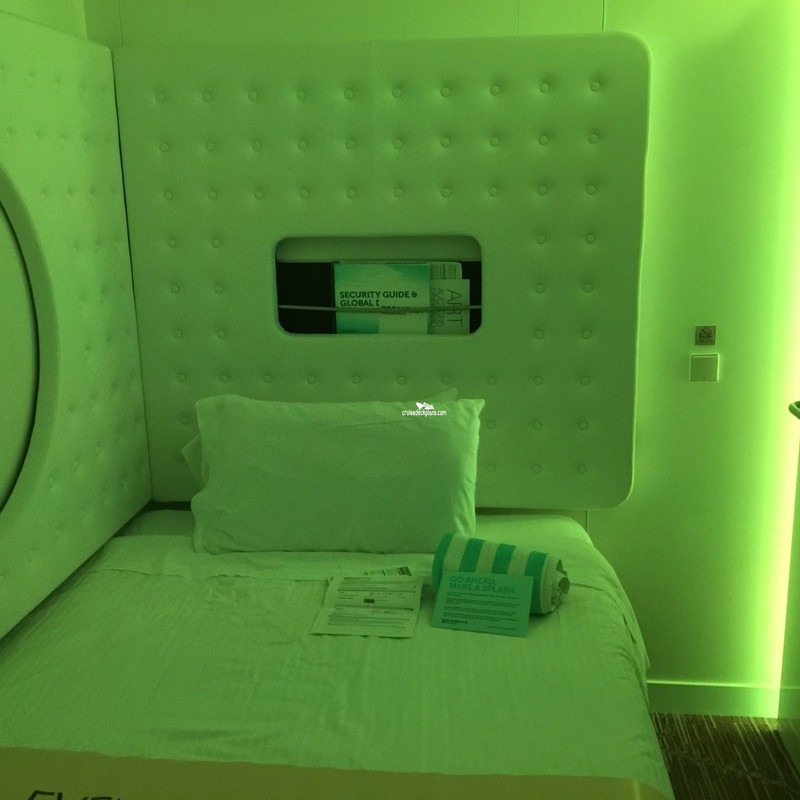 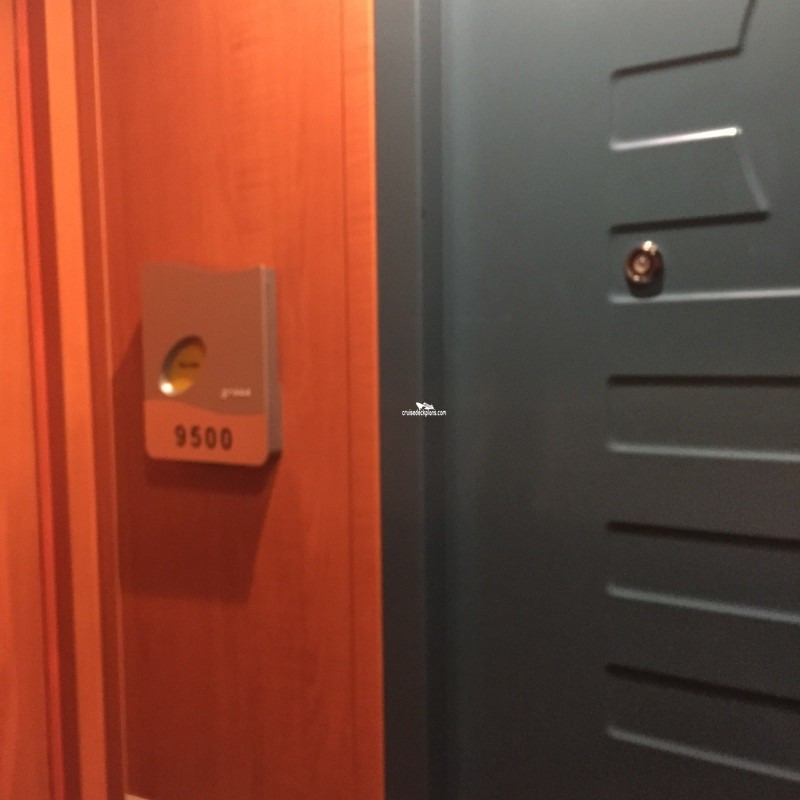 Stateroom 10000 and staterooms on deck 11 and deck 13 DO NOT have a guest bath. Some suites have balconies with private Jacuzzis. 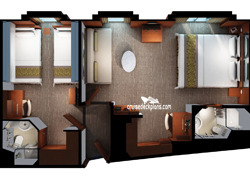 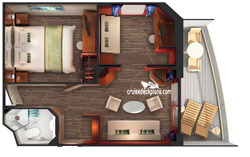 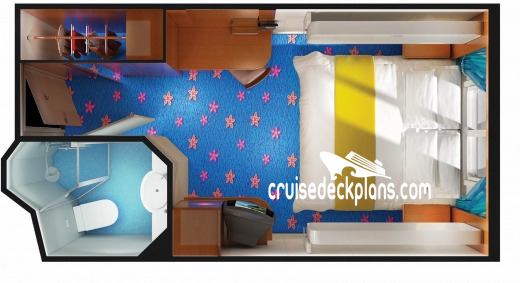 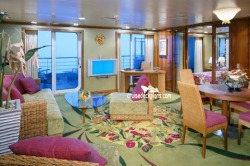 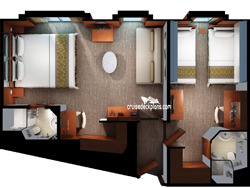 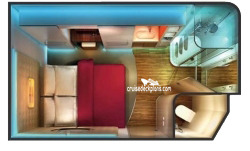 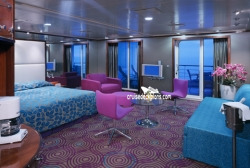 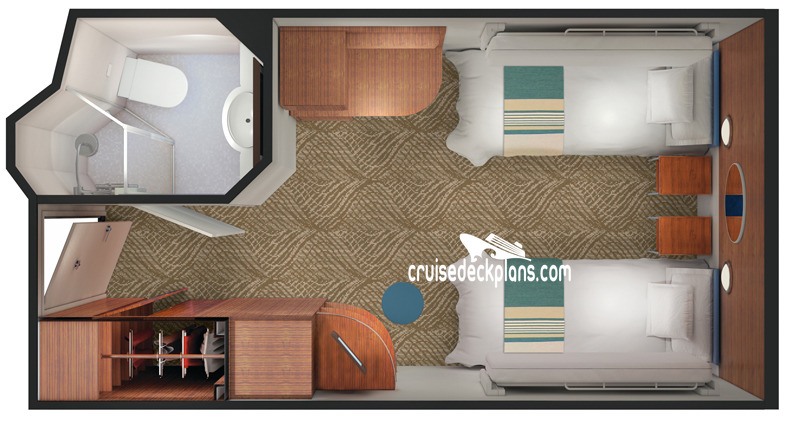 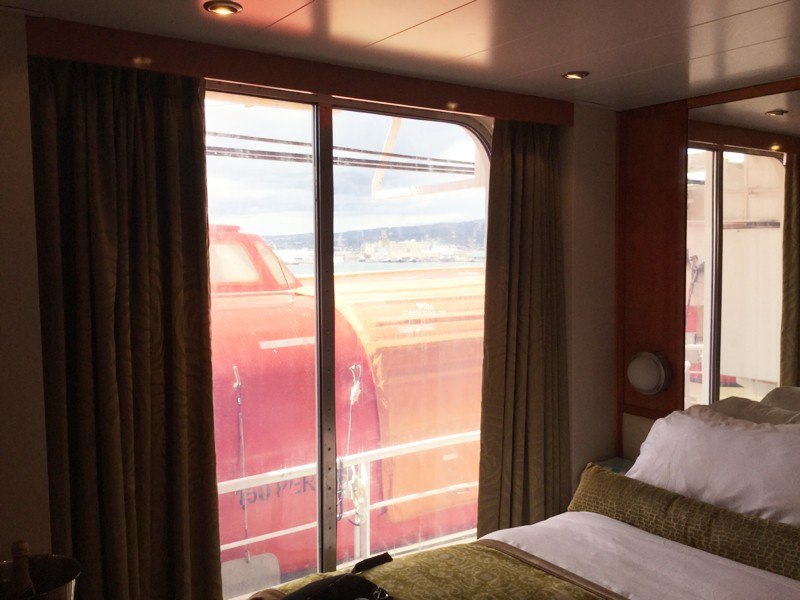 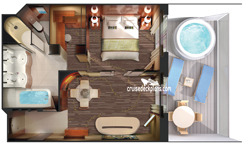 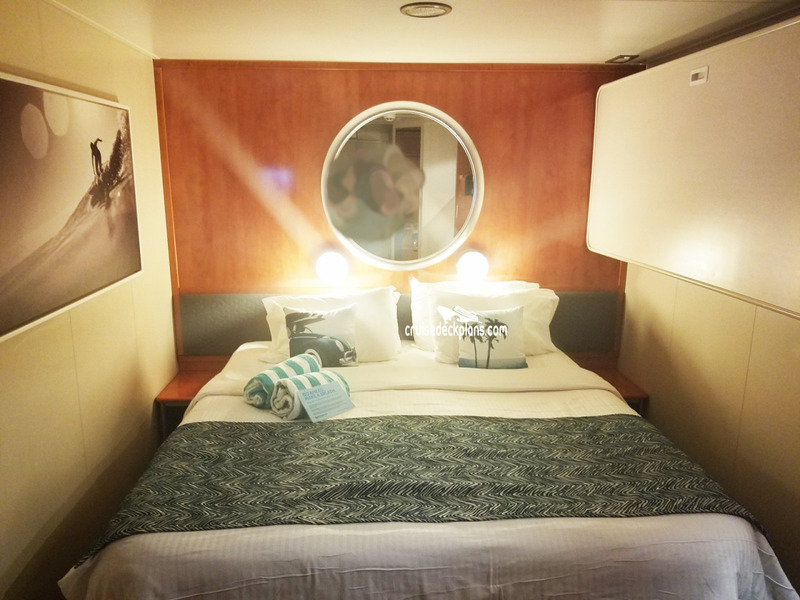 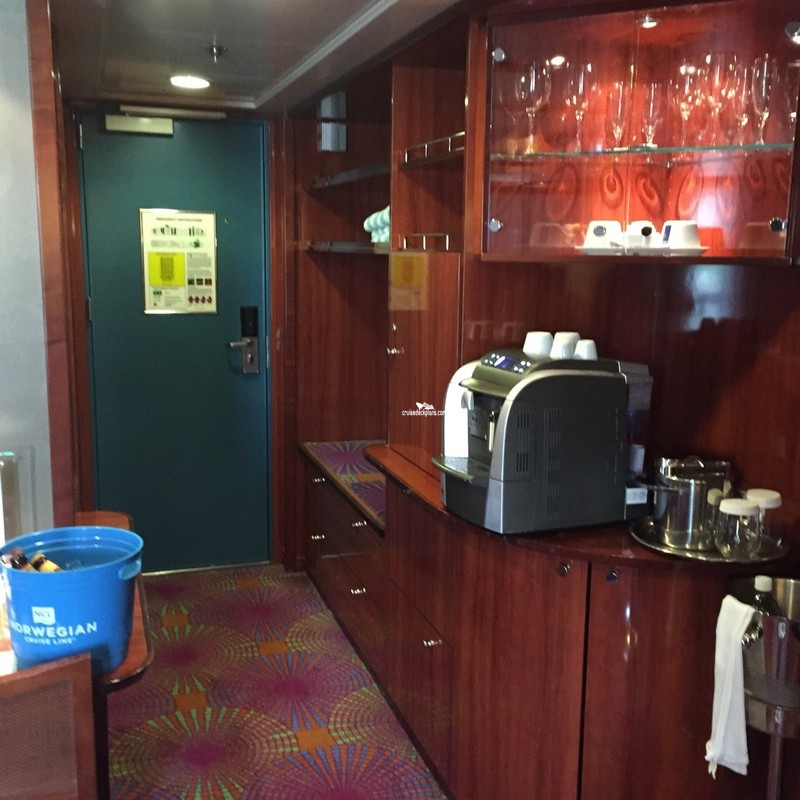 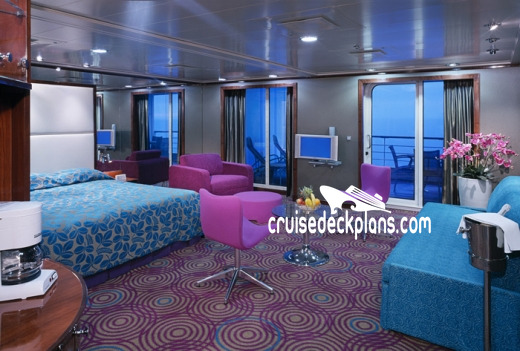 Category SE cabins are 394 to 410 square feet with additional188 square foot balcony. 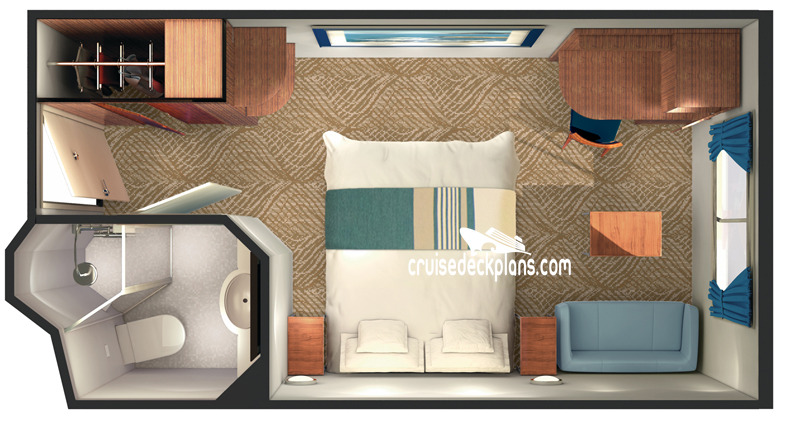 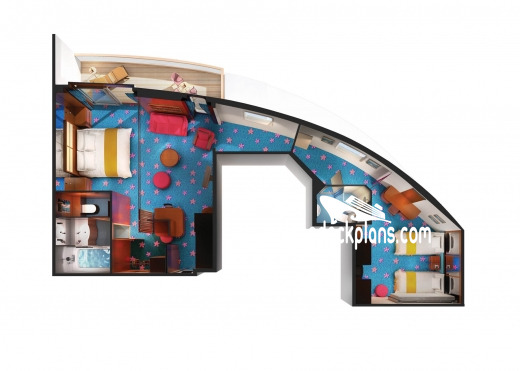 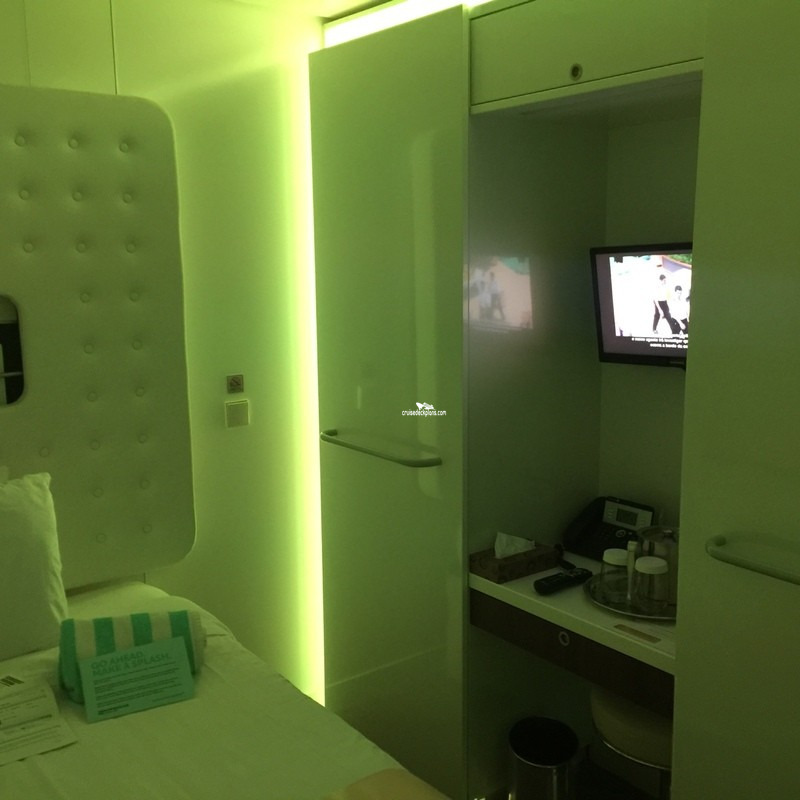 Category SF cabins are from 299 to 306 square feet with additional 188 to 306 square foot balcony. 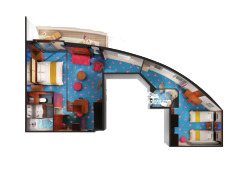 Category SD is 880 square feet. 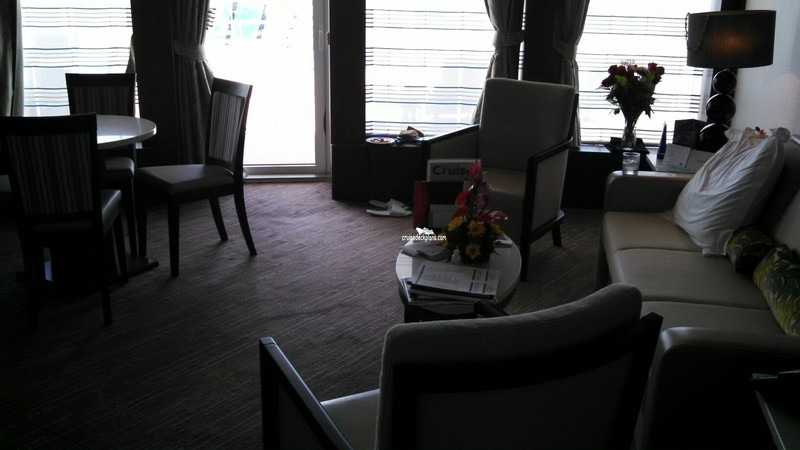 Obstructed view and no balcony for category SJ. 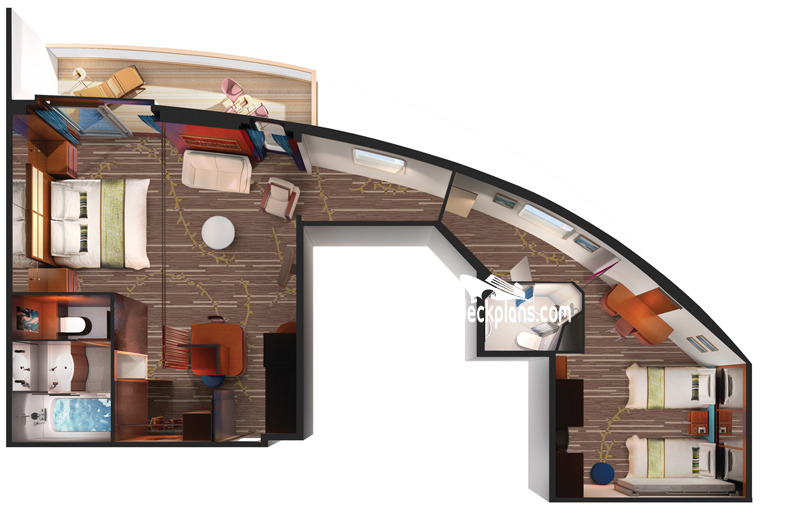 Category SJ cabin size is 356 square feet. 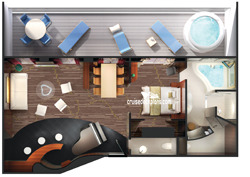 Category SI has three televisions, two Pullman beds and single or double French windows. 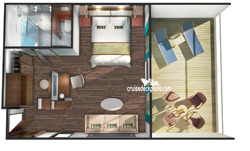 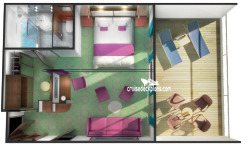 Category SH is a one bedroom suite and has bed area that can be seperated by curtain. 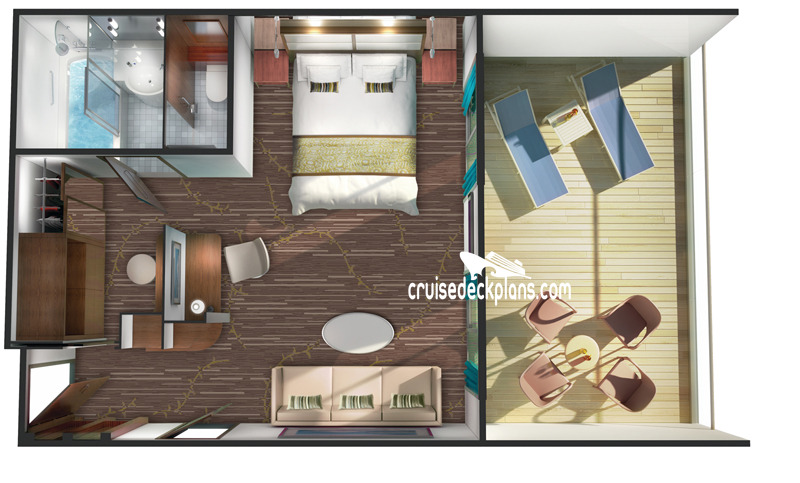 Balcony size for category B1 is 95 square feet and category B6 and B7 is 89 to 95 square feet. 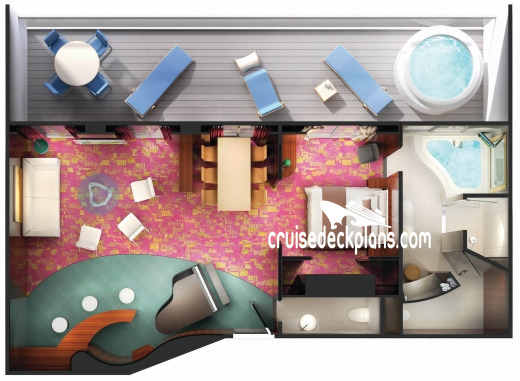 All other Balcony sizes are between 40 and 61 square feet. 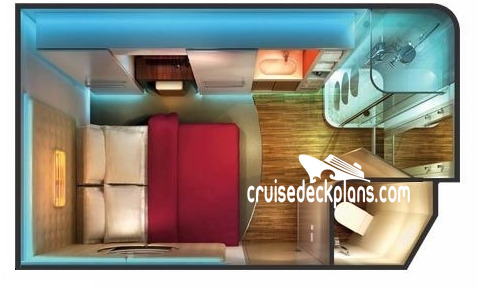 Cabin sizes range from 132 to 219 square feet.